Got milk? If you don’t read this! Hope everyone is finally enjoying some sort of nice weather across the states. Here in New Jersey we have had a wacky mix of rains, floods, and finally sunshine. As soon as I post this I’m taking the little ones outside. Having had both rocky and easy breastfeeding experiences, I thought it would be worth writing about what to do when you are not having such an easy time with milk supply. I learned a lot the last time around and since we are discussing all things spices and global, sharing some insights might help other moms out there. There are things to learn from all the global mothers and grandmothers out there. 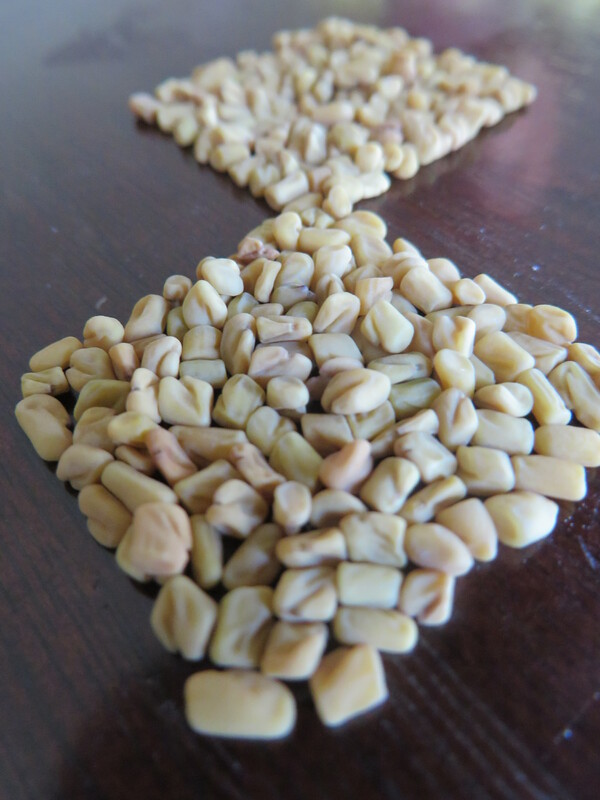 One of the oldest and most common methods for increasing a mother’s milk supply is by eating fenugreek seeds, which come from a plant cultivated largely in India, but also in Egypt, Turkey and Morocco. The above is a close-up of what the seeds look like. This reminds me I need to sign up for a photography class. Or something. 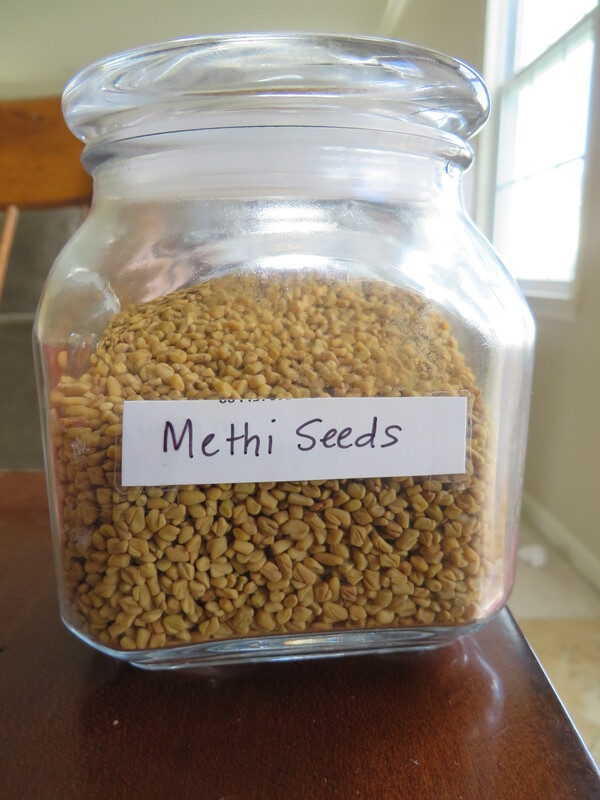 At any rate, fenugreek, or methi, as we call it in India, is used primarily in curries in India, Persia and some other Middle Eastern curries. Usually the seeds are ground into a powder and used in a spice mixture to season the curry. The leaves of the plant are often folded into roti (Indian flatbread) for an extra dimension of flavor. 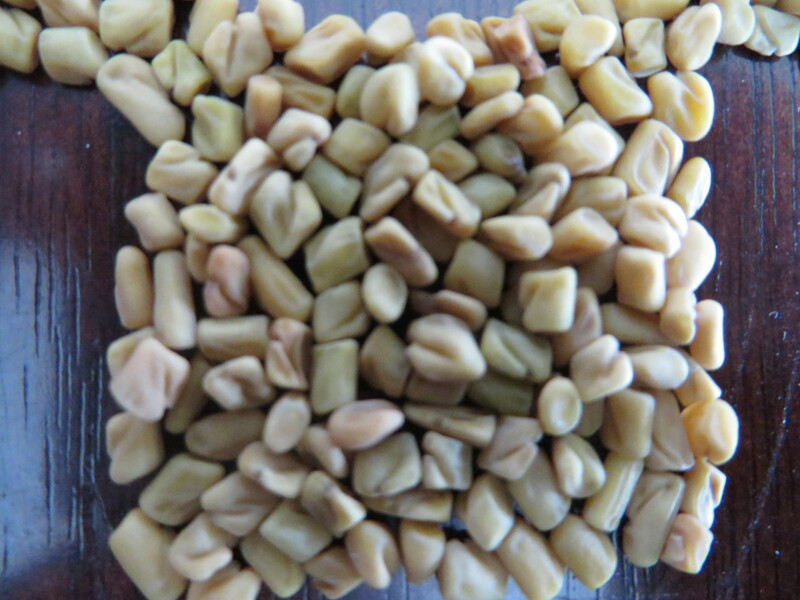 Medicinally, fenugreek is a known…(get ready)… galactagogue. Say that 5 times fast and you get a prize! For us normal, SAT-flunking humans, all this means is that fenugreek has properties that are known to increase lactation in nursing mothers. The first time I heard this I thought it was an old Indian grandmother gimmick (other gimmicks include eating yogurt while you are pregnant so your baby is born with “fair skin,” but that is another post and topic entirely, and one that makes me too angry to talk about…people, ahem, out-laws, need to stop giving such ridiculous “advice”). Anyway, after a lot of research I discovered that fenugreek is commonly used all over the world for mothers struggling with milk supply. How cool! Yes! Though my results were sort of all over the place. I think the problem was that I stopped doing it regularly. Friends who have done this regularly have seen remarkable results. Their supply increased by almost 50% which is huge! Don’t have this stocked? Most of us don’t! Any Indian or Asian grocery store can help you out there. I took a tablespoon of seeds and soaked them in water overnight, then gulped the mixture down the next morning. Yes, this might sound off-putting, but the taste is not so bad and it goes down quickly. Lore and research suggest that you need to do this many times a day until (stop reading if you are going to get grossed out) your pee smells like maple syrup (no, I’m not kidding). If you hit this point, you are ingesting enough. Some women see an increase in milk production overnight, some need to add pumping sessions to increase the seeds’ effectiveness, and still others can’t rely on just seeds alone (they need the supplements). Regardless, I think it’s pretty cool that a spice has such power and that before pumps and related gadgets were invented, this is how women dealt with things. Amazing. Ask your lactation consultant for more personal advice…but if you are struggling, give this a try! I’ll close this post from Ela’s highchair to your little one’s…bon appetit! (oh dear. no pun intended).